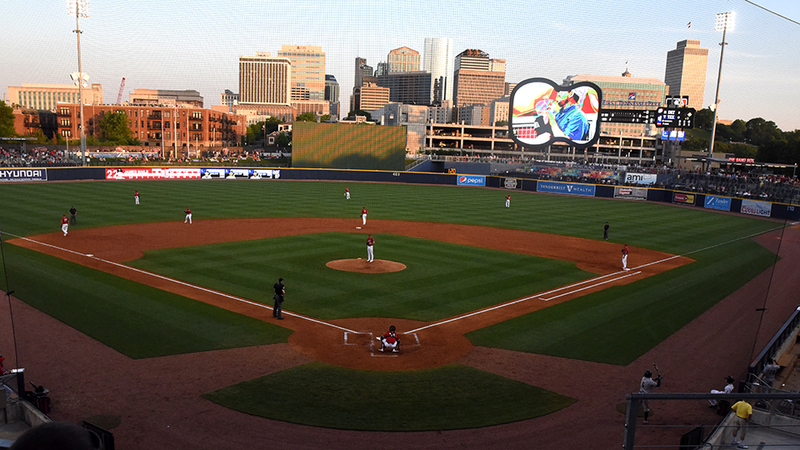 The City of Nashville and the Nashville Sounds have been named home of the best minor league baseball town in America, according to SmartAsset. "This is a tremendous honor for the City of Nashville and our fans," said Sounds General Manager Adam Nuse. "We strive to represent the organization positively inside and outside of First Tennessee Park, and we believe this confirms that commitment." Based in New York City, SmartAsset is a business that helps people make smart financial decisions. SmartAsset looks at nine metrics when formulating scores for each minor league city and team. The following metrics are broken down into two sections to create a score. Using a 0-100 scale, SmartAsset calculated Nashville's "Game Day Experience Score" as 89.08 and "Quality of Life Score" at 71.76 to bring Nashville's overall score to 80.42. Nashville was the only city with a minor league team to have a score of above 80. In an online article released Wednesday, SmartAsset said "Nashville took the top spot once again. Residents of Nashville love attending Sounds' games. According to our data, the Nashville Sounds is one of the teams whose games are most well-attended. Our research shows that the average Nashville Sounds game attracts nearly 8,700 people, filling roughly 87% of seats. This team also boasts a fairly good record and plays in Triple-A, meaning the quality of play on offer to fans is just one step below the major leagues." The 2018 ranking is SmartAsset's fifth annual of America's best minor league baseball towns. Nashville has finished first in each of the last two seasons after debuting on the list in third place in 2016.